Our 100% cotton yoga bolsters offer forgiving support for spinal stretches, restorative postures and deep meditative breathing. They are firm enough to provide full support, yet soft enough to rest on. Yoga bolsters are essential props to use when practicing prenatal yoga as well, and our large selection of different styles and shapes will help you choose the best bolsters to fit your studio or gym. Help support more difficult poses that put intense strain on certain parts of the body (e.g. half side splits or frog pose). Enhance meditation, savasana, and facilitate heart openers. An integral part of certain yoga styles such as restorative yoga and yin yoga, they will help you to sustain comfort when holding yoga poses for long periods of time. An essential tool in prenatal yoga They keep mommies-to-be safe when certain positions can cause strain, pain, or are otherwise dangerous. Prop up the body and allow practitioners to get into otherwise unobtainable poses. In doing so, bolsters help anyone who needs them to reap all of the mind/body/spirit benefits that each and every asana possesses. 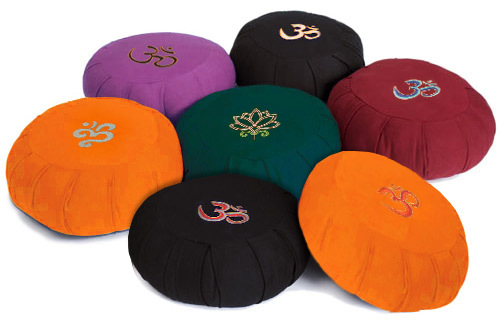 At Yoga Direct, we carry several different shapes and sizes of high-quality bolsters. 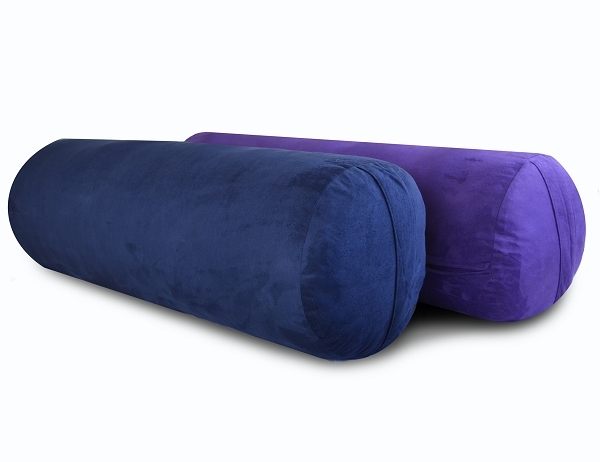 Each bolster has different uses that vary from size-to-size and shape-to-shape. Use this as a guide when deciding which type of bolster is right for you and your practice. 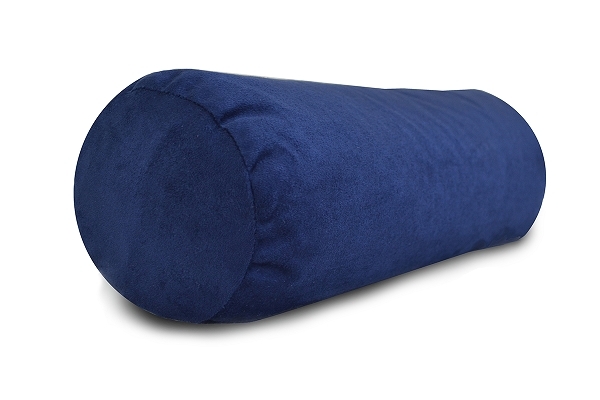 Our Supportive Round Cotton Yoga Bolster (28"L x 10" D) is the longest and tallest bolster that we carry. 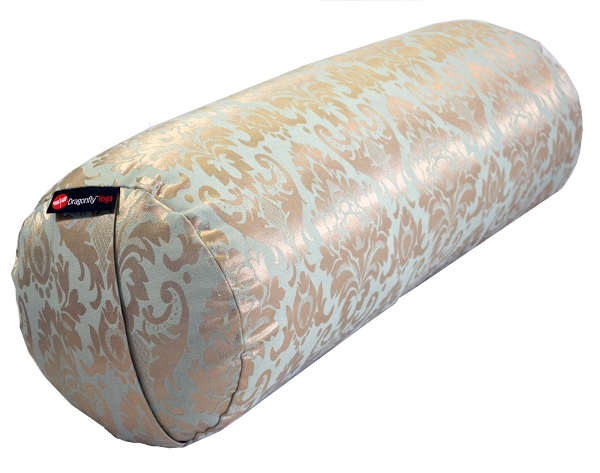 Weighing in at six pounds, this bolster is great for enhancing relaxation in savasana (corpse pose) when placed beneath the knees perpendicularly to the body. Our large cylindrical bolster is also commonly used along the back length of the spine, neck, and head for an intensely deep heart/chest opener. Let that divine light pour into your heart chakra! 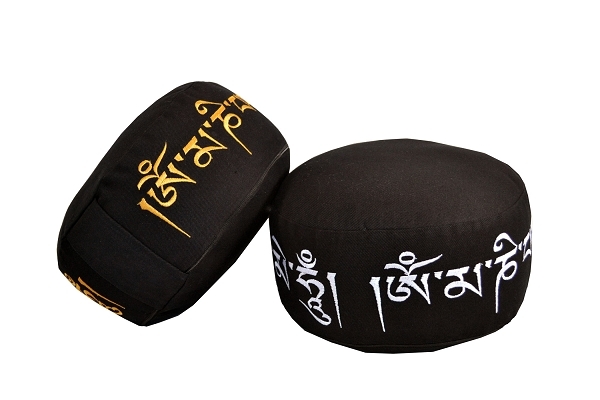 They are also used for propping the upper body up in a meditative/restorative modification of child’s pose, assumed by laying your head and upper torso upon the top of the bolster, then reaching your arms around it to gently hug it in towards the body. Our Max Support Round Supportive Round Bolster is a super-stuffed, extra firm version of our Supportive Round Bolster (with the same dimensions but an extra three pounds stuffed into the inner pillow for maximum density). 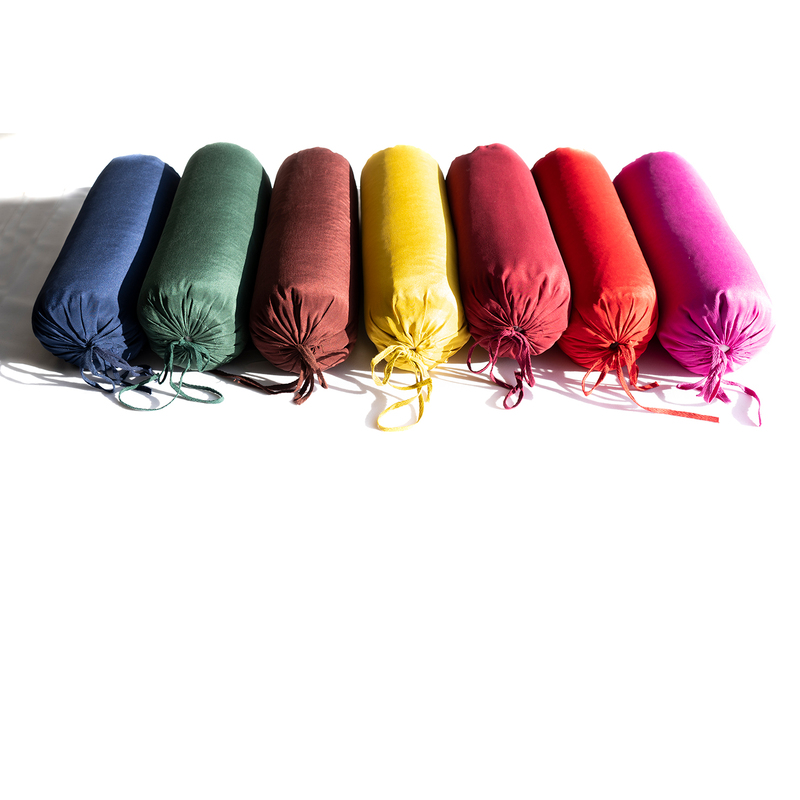 We also offer replaceable covers that fit these two yoga bolsters in case you want a different color or wish to prolong the life of your bolster. 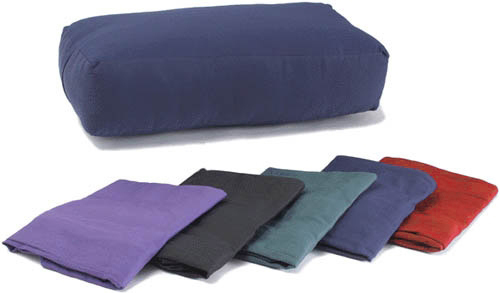 Our Supportive Rectangular Cotton Yoga Bolster (24'' L x 6'' H x 12'' W) is our most versatile yoga bolster. 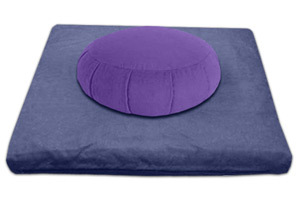 It’s similar to our Supportive Round Bolster, but it has a shorter length and squared-off edges. This makes it convenient to use under the sitz bones in seated postures to increase flexibility, and offer forward bend support for less flexible and elderly yogis. Use it to prop up the buttocks and stretch deeper into legs up the wall pose. 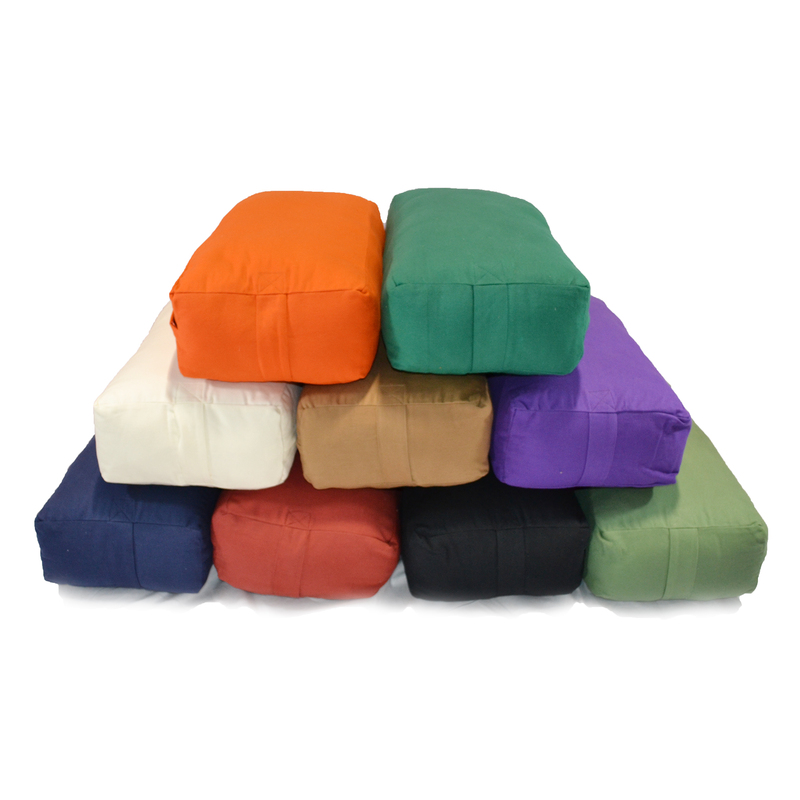 Most commonly used in restorative yoga, our Large Rectangular Bolsters are easily stacked for extreme support. They also double as firm floor pillows. In poses like down dog and wide-legged forward bend, a block is sometimes suggested by the instructor to support the head, but at six inches high, our Rectangular Bolster is a safer and softer option that won’t put solid strain on your melon. When placed underneath the length of the spine, it allows for a less intense chest-opener. 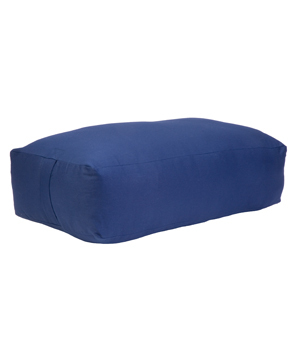 We also have a super-stuffed Max Support Deluxe Rectangular Bolster variation that weighs 9 pounds but still has the same dimensions (24'' L x 6'' H x 12'' W) for firmer support. A replaceable rectangular cover will fit both the Max Support Rectangular Bolster and the Supportive Rectangular Bolster. 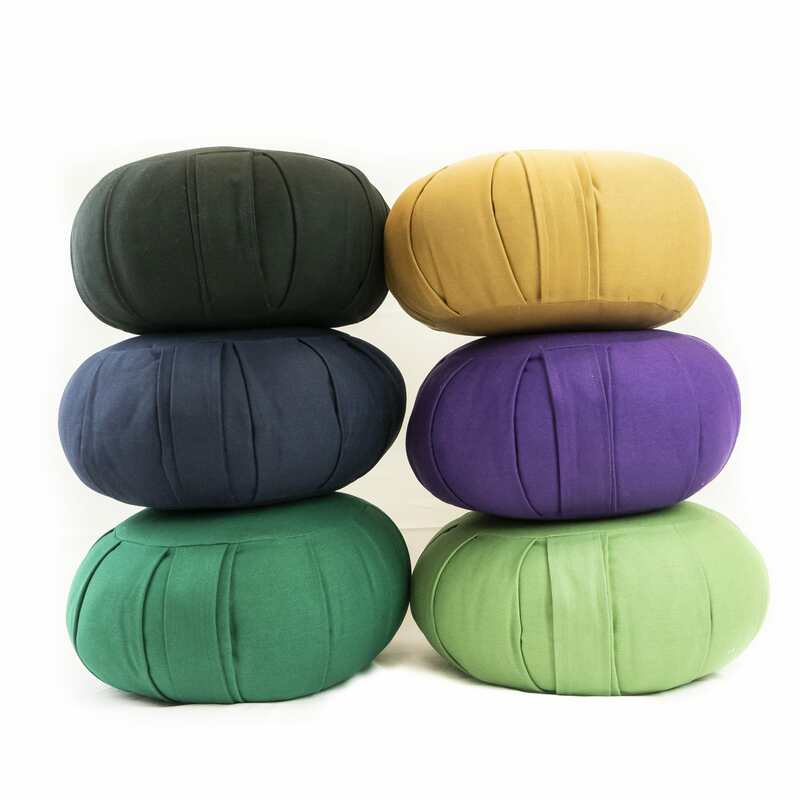 The Small Round Cotton Yoga Bolster (22"L x 7"D) is not just for small yogis and kids; these bolsters are used for acute support or subtle lifting of body parts to increase flexibility in more advanced practitioners. For example, in full lotus pose, use it in between the legs to stretch them even higher. You will feel the difference in your hips. Most commonly, the small round bolsters are used for lumbar, neck, and knee support and acute chest openers. These small yet strong and functional bolsters are easily transportable and lightweight -- providing just a small amount of support exactly where you need it. 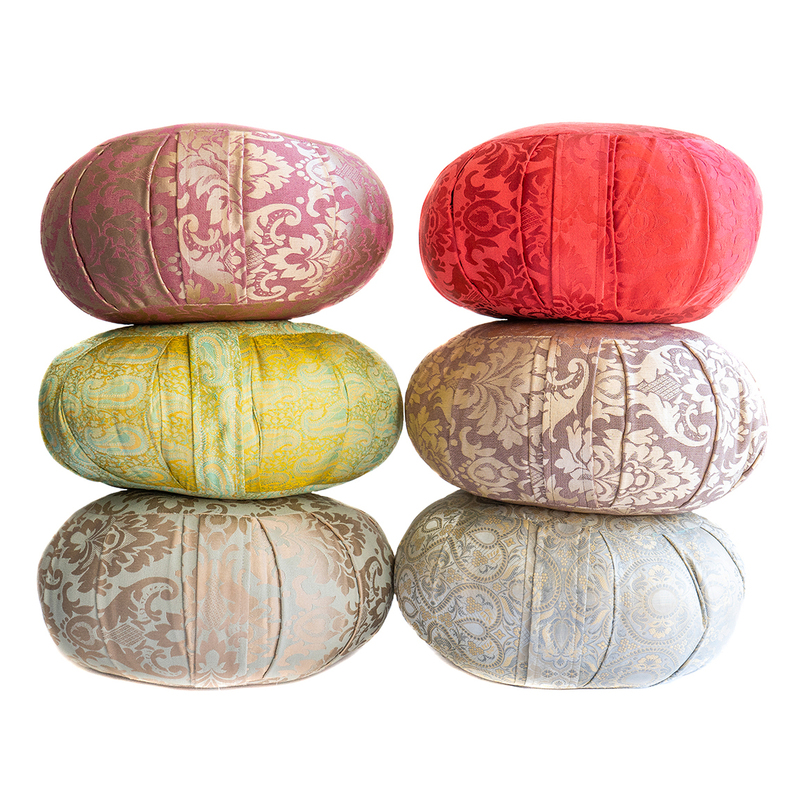 Our Small Cylindrical Bolsters also double as an attractive bed or sofa throw pillow! 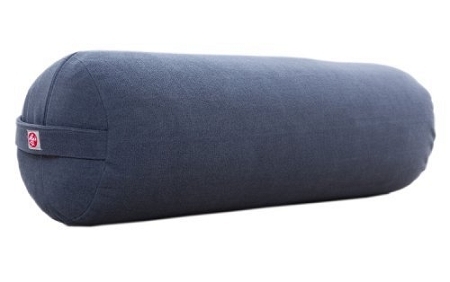 Our Small Rectangular Cotton Yoga Bolster (22'L' x 5''H x 8''W) offers just a touch of added support to any yogi’s practice. They can help less flexible yogis gain flexibility by supporting the sitz bones in seated bends. Or, they can help super bendy yogis increase range of motion when lifting the front lower leg in pigeon pose. Place our Small Rectangular Bolsters under body parts to ease any bodily pain you may be experiencing. They are ideal for easing the knees in poses that put strain on the joints. If the hamstrings are tight, insert them between the buttocks and the lower legs for an easier variation of hero pose. Position below the sitz bones for a painless lotus pose. 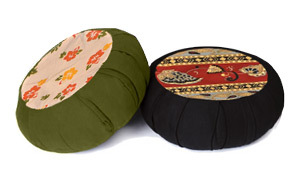 Similar to our Pranayama bolster, these small bolsters will help you stretch your back and breathe easily. 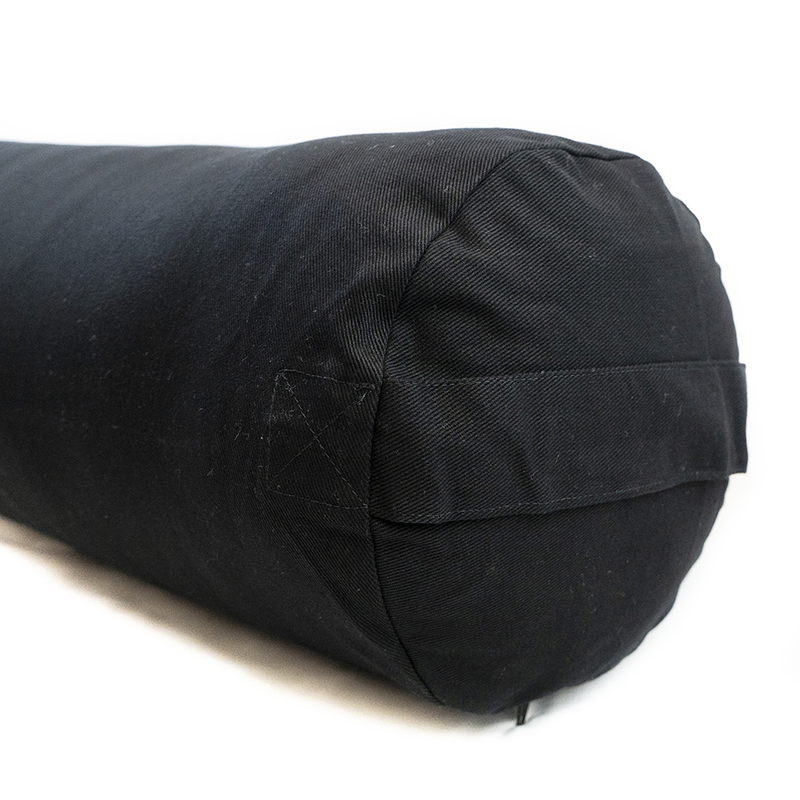 Our Pranayama Cotton Yoga Bolster (25' L x 3'' H x 6'' W), at only six inches wide, was designed to facilitate deep breathing exercises (pranayama) during meditation as well as yoga practice. Please note the dimensions of this thin and long bolster before you buy. It is firm, and its first and foremost purpose is to open your lungs and the chest while being placed along the spine in corpse pose or reclined goddess pose. This will help you relax into the pose and reap all the benefits of pranayamic breathing. All Yoga Direct bolsters have excellent shared characteristics that will prolong the life of your bolster and make sanitation easy. You won’t find these unique attributes in any of our competitors! 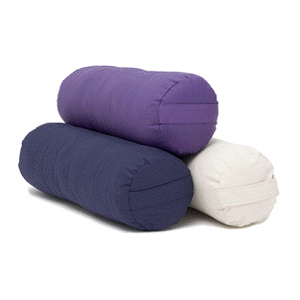 Each bolster has a removable, washable cover and two handles on each end for easy positioning. 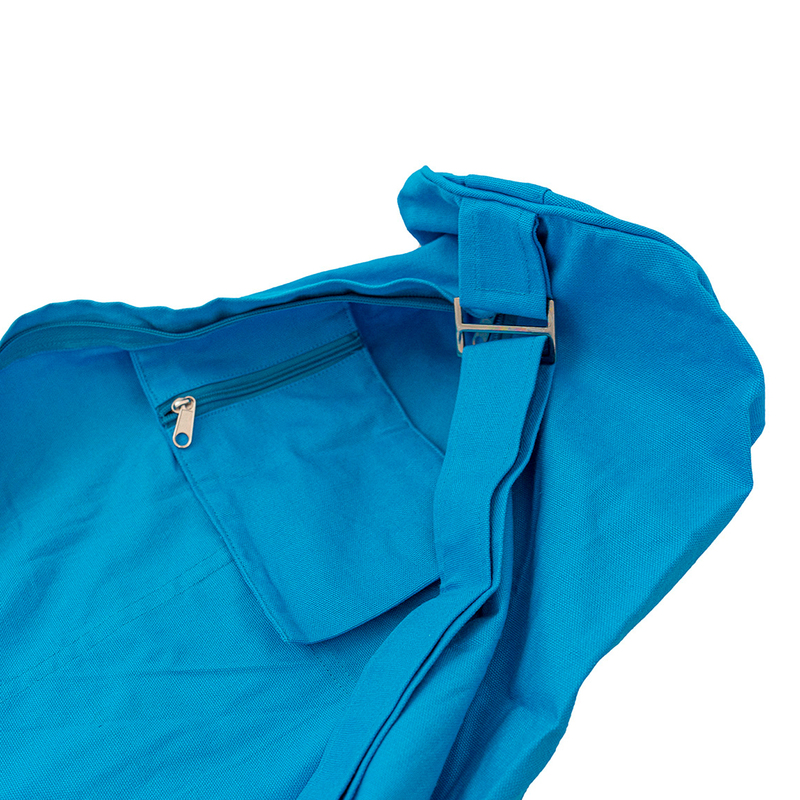 A heavy-duty zippered opening stretches across the length of each bolster and is protected against contact with skin by fabric overlays on either side of the zipper. Each bolster cover (aka case) is made of soft yet very thick and sturdy cotton, making them more durable and longer-lasting than competitors. Inside each bolster cover is a removable cotton batting-filled pillow (also made from cotton) that has an inside access point to the batting. Depending on the type of bolster, this will either be via a drawstring opening or overlapping pouch-style opening. This allows for convenient and mess-free removal of batting. 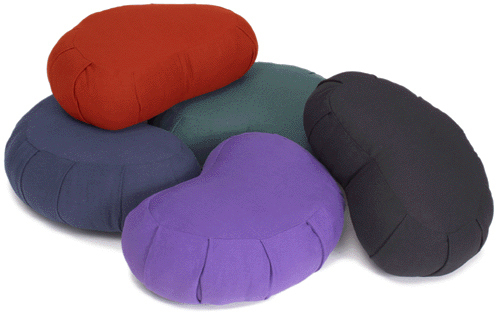 It allows you to control the firmness or softness of your bolster. For our smaller bolsters and breathing bolsters, the cover can be easily cleaned in any washing machine on a cold cycle and hung to dry. The covers to our larger round and rectangular bolsters, especially either of the Max Support Bolsters, should be dry-cleaned only to prevent shrinkage or damage. Of course, the cotton batting is completely replaceable, convenient for yoga studio owners whose bolsters often get heavy use. 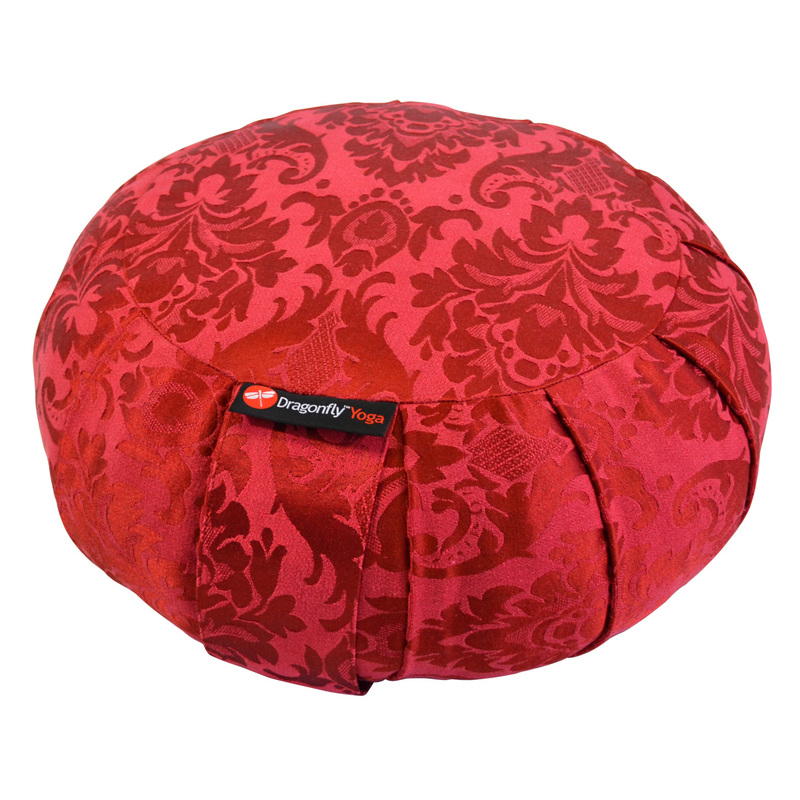 All of our bolsters have access points to remove/re-stuff/replace the inside batting. Yoga is an inclusive activity that should appeal to people of all ages, abilities and fitness and flexibility levels. It's gentle enough for the pregnant, but demanding enough to give you an intense and sweaty workout. Like any new activity, though, it can be intimidating in the beginning. People who aren’t as supple and limber as seasoned yogis may find the poses too challenging. Yet rather than give up, they should look into yoga bolsters for support. 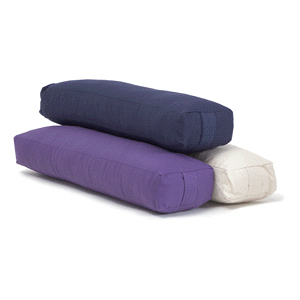 A yoga bolster is a firm cushion that makes the practice of yoga more comfortable. It can be especially useful to people with injuries or women who are pregnant and suffer from lower back pain. It relieves excessive tension and gives the body a chance to adapt to new and especially challenging poses. 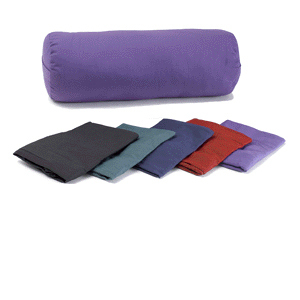 Yoga bolsters are pillowlike props that come in assorted colors, sizes and shapes, including cylinders, rectangles and squares. A cylindrical or rectangular bolster can be placed under the small of your back or under your knees during poses such as Savasana (also known as corpse). This puts less strain on your body and makes the process more fluid and restful. 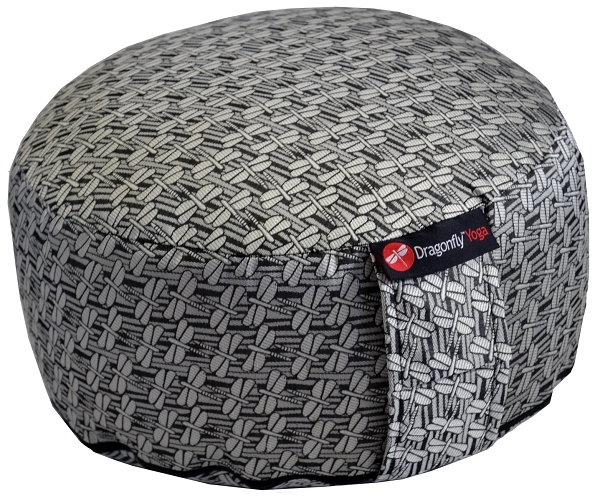 A flat, square foam pad or round Zafu works well for meditation. To use, slide it under your sit bone to raise your hips and increase your comfort level. You can also use these pads to support sensitive knees. A yoga bolster can make relaxing at home more pleasant, too; just slide one under your body when you’re lying down reading or watching TV. We carry half a dozen to choose from. Except for one, which is filled with foam, they all feature breathable cotton covers and batting, with covers that can be removed and washed. Color choices vary depending on the style, but may include blue, green, purple, burgundy and chocolate. 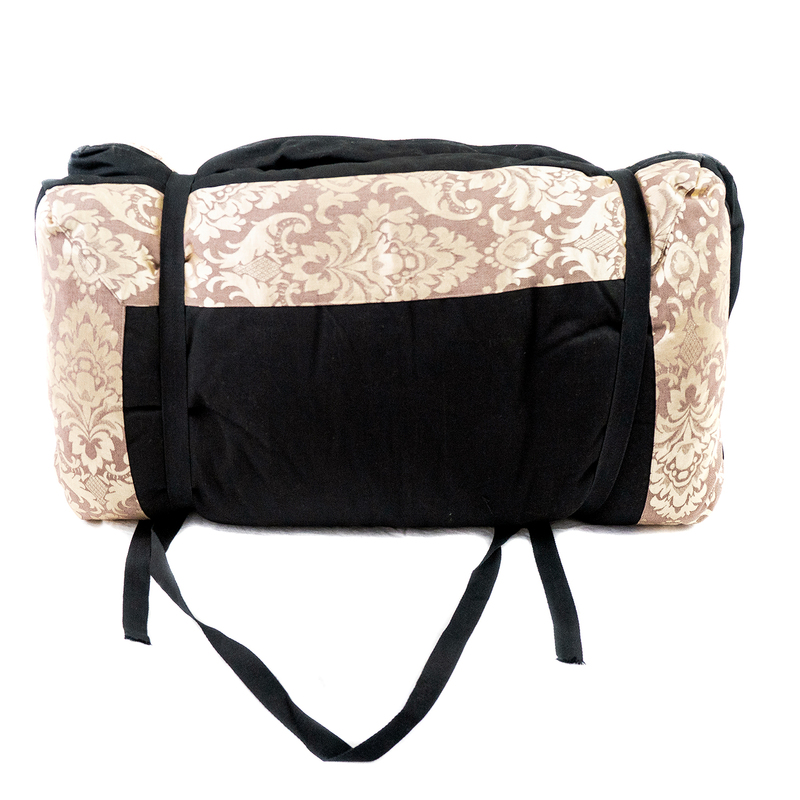 No matter which you select, it won’t take up much room to store and will be very light to carry with you to yoga practice.